Superb Blue Pixels is one more e-juice bringing a nostalgic flavor from your childhood. While vaping you will taste blue raspberry pixy candy flavor. 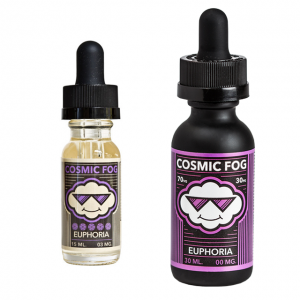 Rich berry flavor combined with powdered sugar create a sweet treat to please your taste buds. With Superb Blue Pixels you can enjoy your favorite candy flavor in a form of vape. The VG/PG ratio is 70/30 meaning that you will get a lot of thick vapor. For cloud chasers, it is a good option. This candy flavor e-juice is available in a 60ml black chubby gorilla unicorn bottle that boasts an attractive design in a minimalistic style. You can get a bottle of Superb BluePixels e-juice with different nicotine strengths. There are 3 options for your choice – 0mg, 3mg, and 6mg. Enjoy a relaxing nostalgic flavor with every puff of Blue Pixels e-liquid!